Born and raised in Louisville, Kentucky, Kenzie Kapp discovered her passion for fashion at very young age. The colorful fabrics and assorted patterns strewn throughout her grandmother’s sewing room inspired curiosity and intrigue in the then adolescent Kapp. It was during these impressionable years, that countless hours were spent with her grandmother, Mary Lou, absorbing all of the intricacies necessary in mastering the craft of a Clothier. After graduating with a Bachelor of Design specializing in Fashion Design from the accredited University of Cincinnati College of Design, Art, Architecture and Planning (D.A.A.P. ), Kenzie took her talents on the road; living and working in numerous cities throughout the US. These experiences not only enriched her life, but expanded her horizons in the field of design. It was while working as an Event Planner at a major Las Vegas casino, that the ever-present idea to start her own company began to take hold, and in 2008, Kenzie moved back to Louisville and launched Kenzie Kapp, LLC. Applying her fashion instincts and attention to detail, Kenzie’s holistic approach to design focuses on the individual needs of her clients. Creating an entire look from stiletto to hat, clients’ personalities are accentuated by the unique and distinctive looks created by Kenzie. 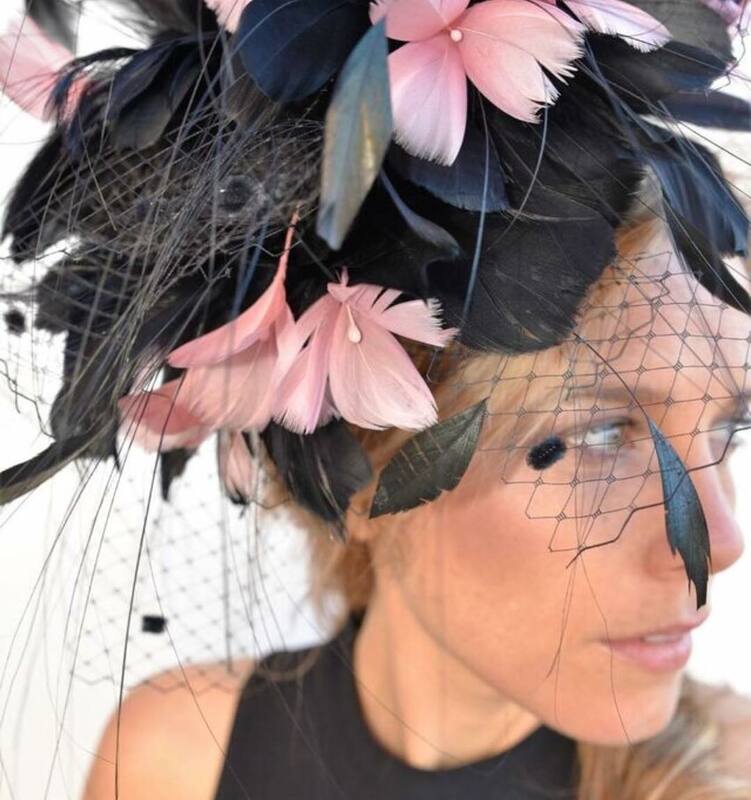 A hand made hat or headpiece designed by Kenzie is sure to elevate any look for every special occasion. Kenzie has been interviewed and featured in various publications and news outlets. Her most memorable are Business First, Intouch Weekly, Today’s Woman, US Magazine, The Globe and Mail, Town and Country, Parade, Elle, Buzzfeed, The Cut, Parents Magazine, The Courier-Journal, The Voice Tribune, The Kentucky Derby Book, Wave3, WDRB, Good Morning America, & the Today show.